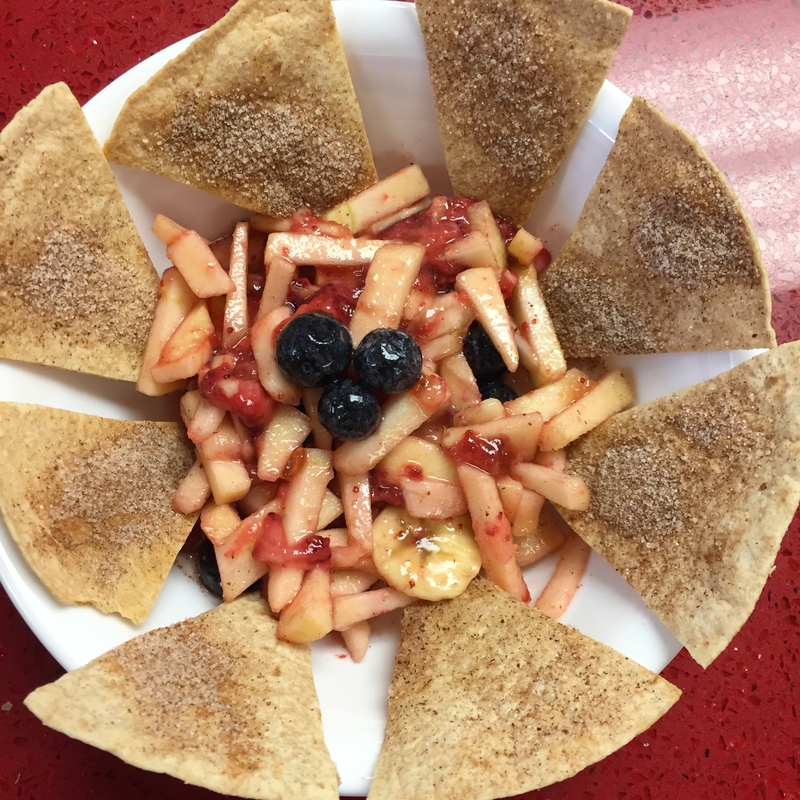 This fruit salsa and cinnamon chip recipe is always a favorite during our vitamin/mineral lab. You can see why based on it’s yummy appearance. 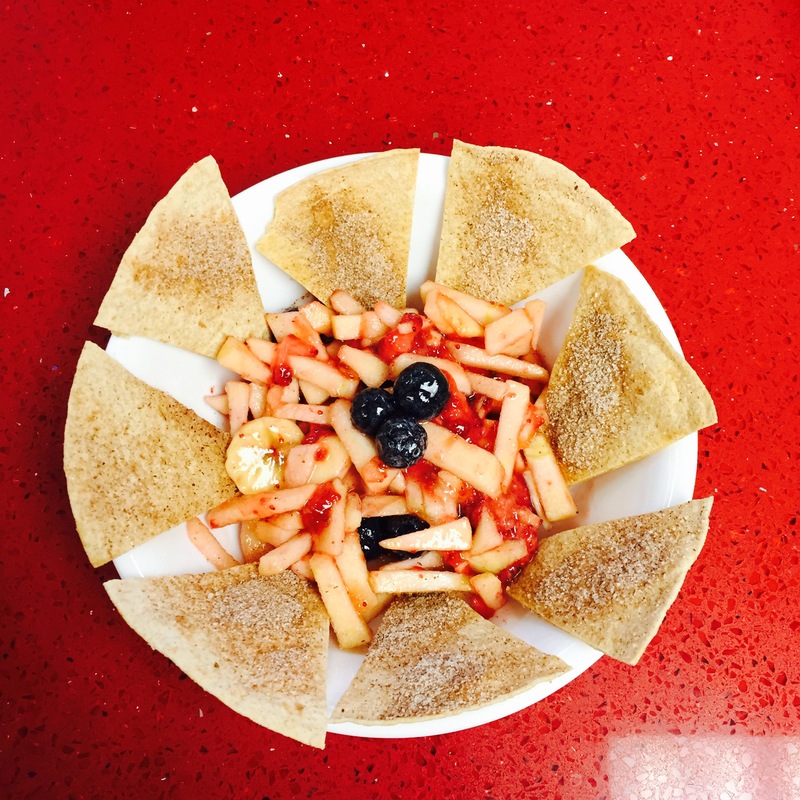 We use seasonal fruit, like apples and combine it with high antioxidant fruits that we study for the exam. Included are cantaloupe, blueberries and strawberries. The bananas are always included because we discuss it’s potassium benefits for athletes and cramping. Wouldn’t you know it, our football players had to leave early for a game today. 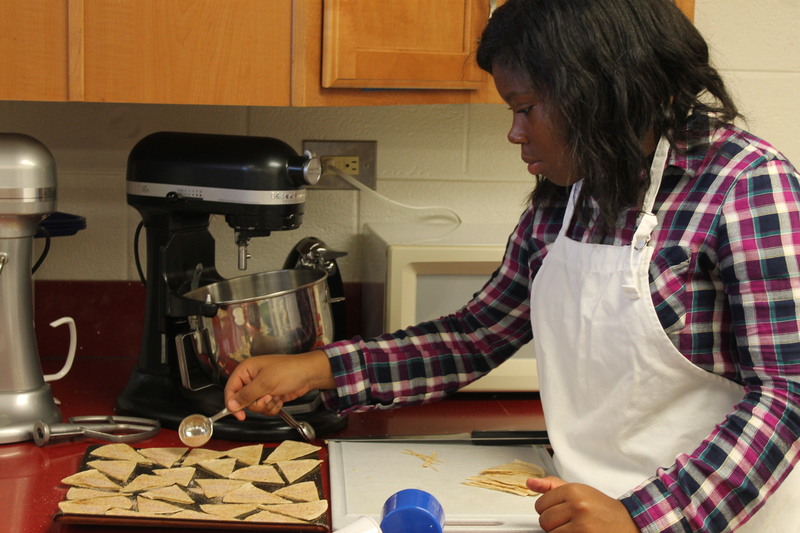 Chloe is doing a fantastic job evenly sprinkling her cinnamon chips with cinnamon and sugar. 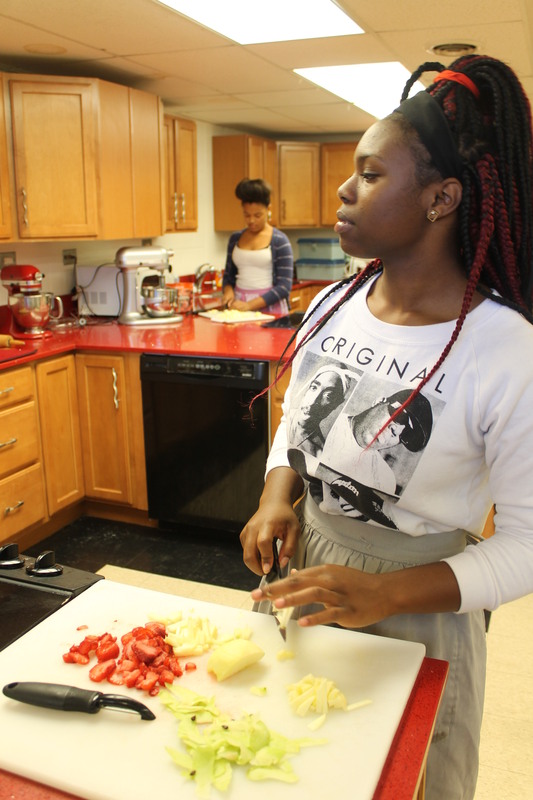 Look at those antioxidants on Imani’s chopping board. 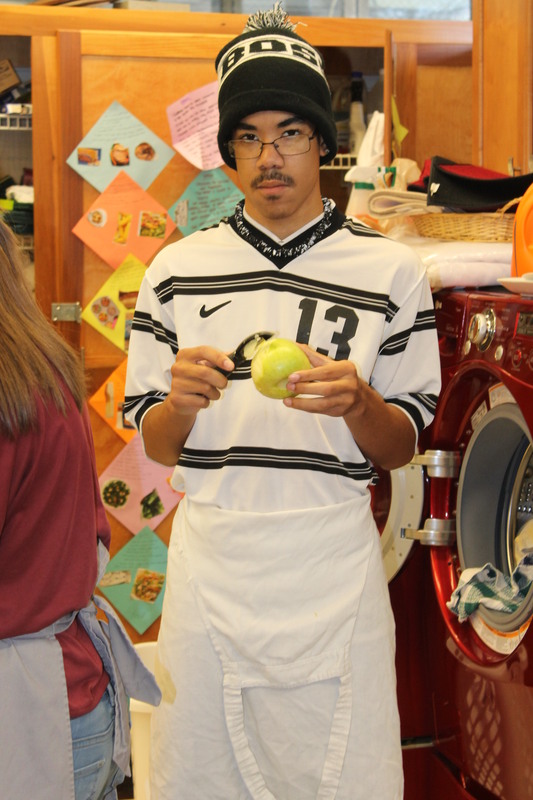 Quen is his group’s expert apple peeler. 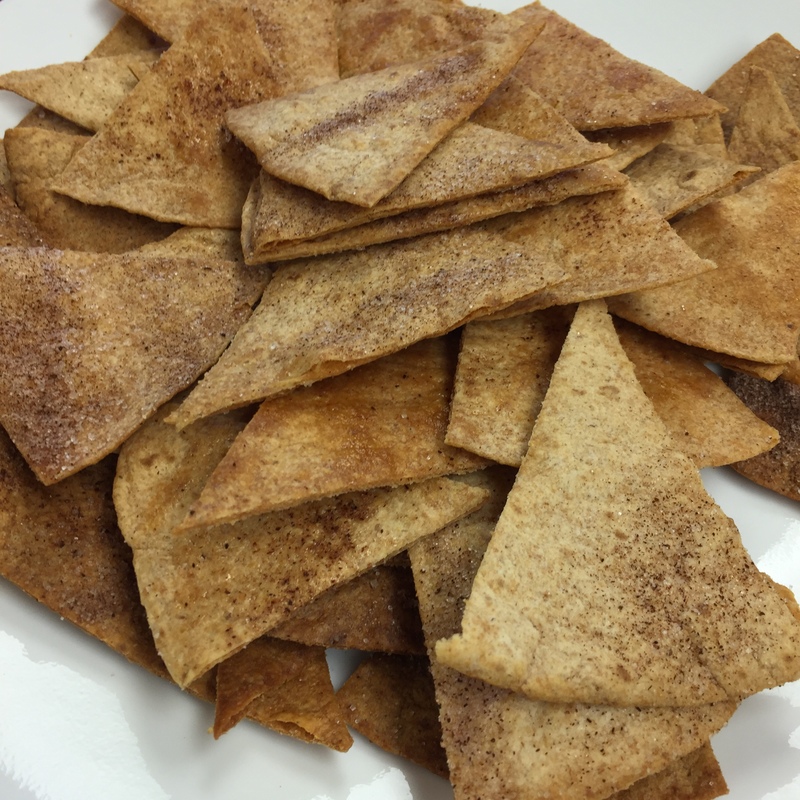 Crispy whole wheat cinnamon chips anyone? 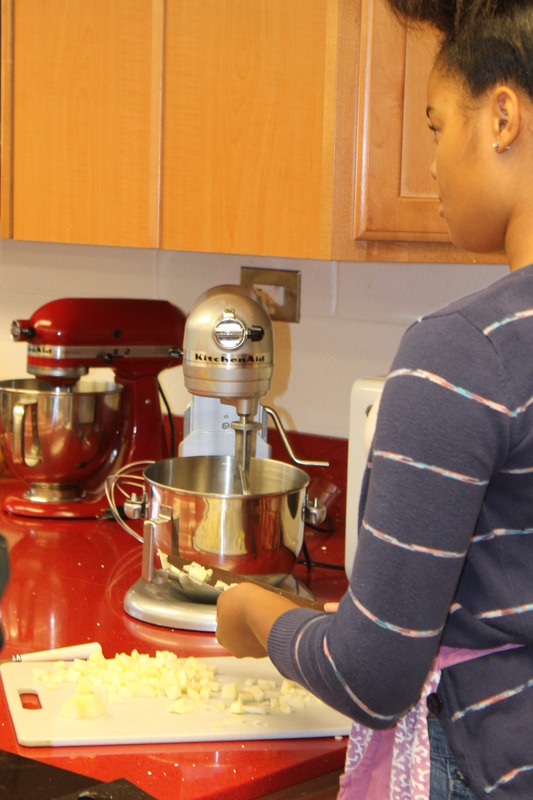 You can see why students love this stuff.